The heart of a Pigmy Shrew beats 1300 per minute then why is it so fast? A pygmy shrew is such a small animal. Even with such fast heart beats their average life span is 1.5 years. So can we consider faster heartbeats to not be good for health? There is a correlation between the heartbeat and the life expectancy as you can see below. This relationship is not linear (the y-axis is on a logarithmic scale) and is negative, that is, the faster is the heart beat, the lower is the life expectancy. 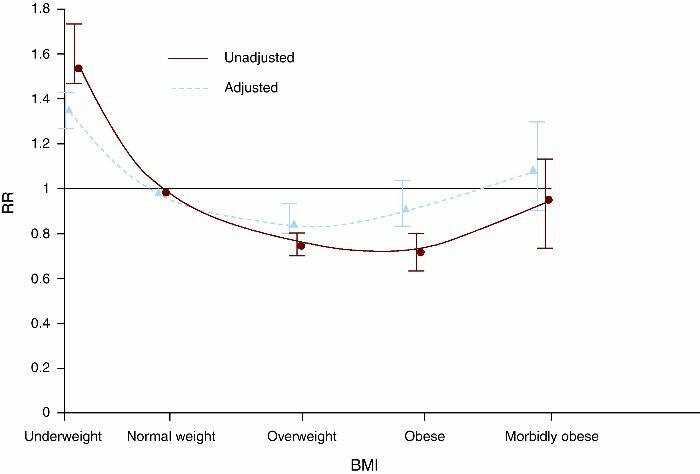 You'll note the outlier (human) that has a life expectancy that is twice as high as you wold expect from the regression. This shift toward the right is caused by medicine, food quality and hygiene. Note that correlation doesn't imply causation. Typically, you'll notice from reading the species names on the first graph that species that have a fast heartbeat (and therefore a low life expectancy) are small in size.Allometry is the study of the relationship of body size to shape, anatomy, physiology and behaviour. You might want to have a look at the wiki page. can we consider faster heartbeat is not good for health? No! it is wrong to think from from those data that the shrew (that has low life expectancy and fast heartbeat) that if they were to have a slower heartbeat, they would live longer. This is wrong. Shrews have the heartbeat they need to have. If one shrew (due to a mutation or some environmental developmental effect) had a slower heartbeat, it would die very early. In other words, such inter/species correlation doesn't tell anything about intra-species correlation. 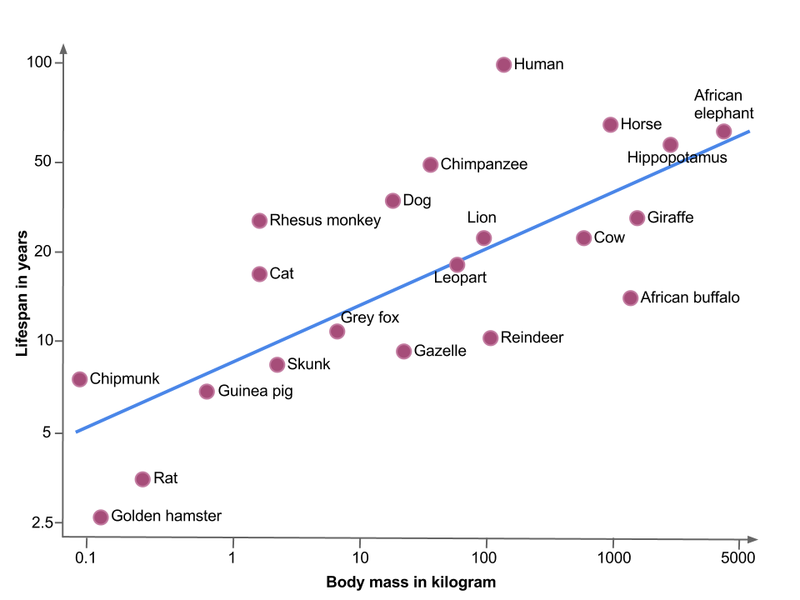 To reuse the example of the relationship between mass and life expectancy: Body mass and life expectancy are positively correlated among species (see above) but the mass at which life expectancy is maximized in humans is average. The below graphs shows the relationship between body mass and Relative Risk (RR) of coronary heart disease. Life expectancy, health and high fitness (biological sense) are three concepts that are eventually related but that are very different. 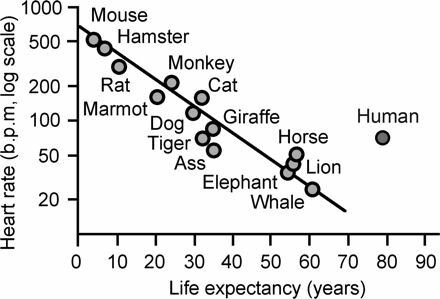 While life expectancy can compare health in inter-species comparison, it makes little sense to compare health of different species. Note also, that natural selection may well favour short lifespan (as suggested by @RioSiv, you might want to have a look at life-history r/K selection theory). Not the answer you're looking for? 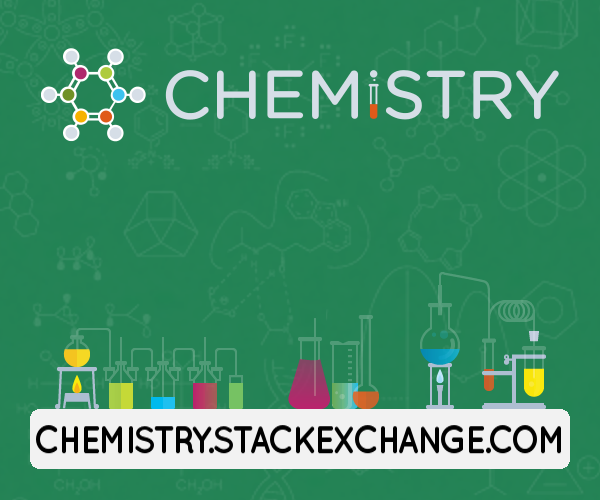 Browse other questions tagged zoology physiology cardiology health or ask your own question. What is the correct medical procedure(s) for taking a resting heart rate? What are the benefits of statins in terms of prolonging life? Why do small organisms make faster movements than big organisms? Do domesticated animals necessarily live longer than wild animals? counterexample wanted! Should heart-to-body energy consumption ratio equal oxygen consumption ratio? Is there a way to determine how far and how fast an animal can run for based on geometry?